The symposium presenter will first give a brief glimpse into the past of the prestigious Portuguese Immigrants that formed a close knit community of the San Francisco Bay Area, often referred to as “The Colonia” (The Colony). Among the average immigrant settlement there were several well educated individuals who distinguished themselves as outstanding dedicated leaders. From 1868 up to 1915, the members of this Colony already had founded in their newly adopted country 8 Fraternal Societies. A proud and patriotic group that demonstrated patriotism not only for the motherland, but equally so for America. What excitement was felt by this industrious colony when U.S. President William Howard Taft invited Portugal to be represented at the World’s Fair of 1915. To be included among the 24 nations of the world celebrating 2 milestones, both testaments to human victory over adversity. The City by the bay was once again glistening in the sunshine. 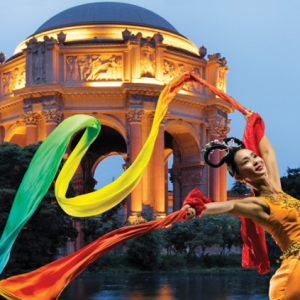 San Francisco rose above the rubble of calamity, overcame the tremendous disaster of April 18, 1906, and rebuilt itself even better than before. The Panama Canal had been completed sooner than expected, the almost super human feat talked about since the 16th century. The joining of the Atlantic & the Pacific Oceans, the removal of a mountain with shovels and pics in the midst of an epidemic of malaria, unskilled workers without the benefit of technology created a testament to humankind. 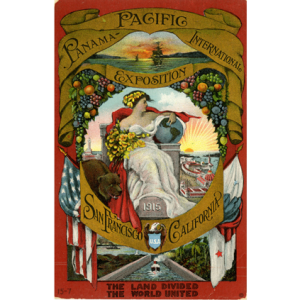 When time neared for the construction of the exhibition representing Portugal and the proud Portuguese Californians, the unstable newly formed Republic had second thoughts to the project. Weeds were growing where the pavilion was to stand. The Colony turns to “The Big Three.” To their community leaders who we’re always there when there was something to be done for the honor and prestige of the Colony. These distinguished gentlemen were: Francisco Inacio de Lemos, Hayward’ s first Portuguese Attorney and 4th Supreme President of U.P.E.C. ; Jose de Souza Bettencourt, medic, appointed vice counsel of Portugal, days following the San Francisco earthquake; and Joaquim Antonio Silveira, President of the Portuguese American Bank of San Francisco. This distinguished trio goes to Portugal , sacrificing their own careers, went before the Portuguese Parliament, and with stirring speeches based on 3 items, pride, dignity, and respect our representatives won the consent of the Portuguese government. The Pavilion will be built. The lavish pavilion was styled in the Portuguese Renaissance design. It was a temple filled with all the high points of Portugal’ s illustrious past, the explorations, discoveries, a literal history book contained in a magnificent display of Portuguese architecture. Statues of Prince Henry the Navigator, ‘s Pedro Alvares Cabral, Brazil’s discoverer flanked the entry, later these statues would be placed at the entry to the Church of the Five Wounds in San Jose. The Pavilion was awarded countless medals and awards. The U.P.E.C. Band with 80 musicians executed the Hymn. 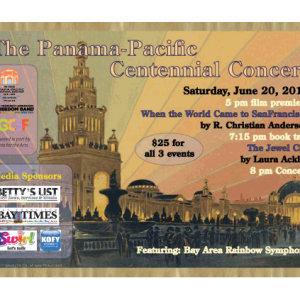 Guest conductor was John Phillip Sousa. 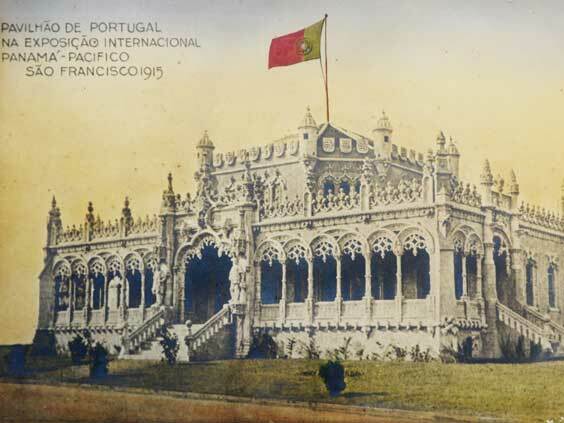 The Portuguese Pavilion was visited by tens of thousands. 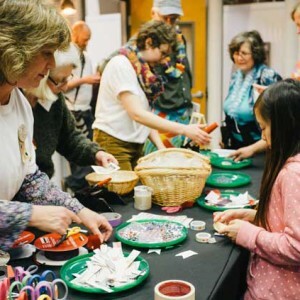 Join us for our monthly family program, History for Half Pints: Arts and Crafts and help us celebrate a year of events commemorating the 100th anniversary of the Panama-Pacific International Exposition (PPIE) with crafts, art, and music.